Another great market find - the beautiful children's accessories and toys of Wild Things Of Noosa. 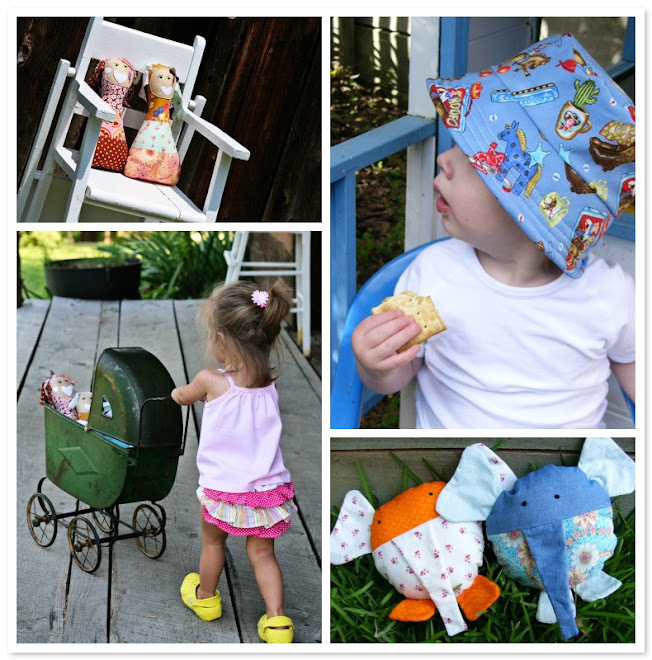 Selina creates hip, modern things for little ones. We stocked up on presents for our nieces in the US and got a little pressie for Sophie too. You can find Wild Things Of Noosa in the online store and sells them on Etsy, Made It and La Toriana. You can read more about Selina's new products and crafts on her blog at Wild Things Of Noosa. And check out Wild Things Of Noosa at the upcoming Mathilda's Markets in Brisbane on 19th July, 2009. What a lovely blog and lovely to see a familiar product there! Selina does make the most gorgeous babies bloomers. I shall enjoy reading about your discoveries. Thanks Rach! I'm glad you found my site. I've just had a sneak peek at Grandy and Baa and love everything. Those Rhinos are the coolest!